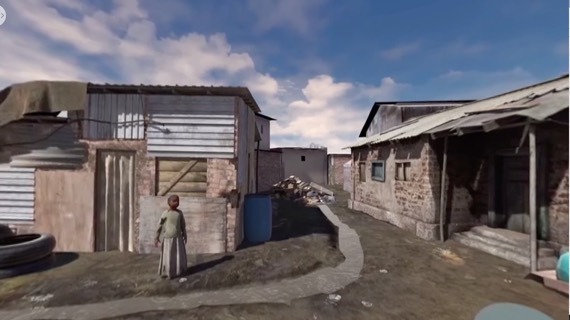 Africa is a demo VR project developed for Samsung Gear VR but also compatible with other headsets. It is a virtual reality that takes you to Africa where you can explore the life of local communities and even interact with the environment. 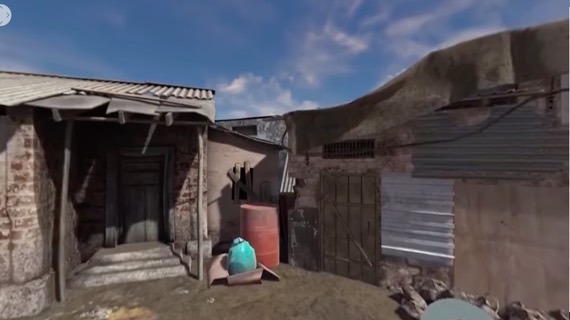 The solution was developed for The Drummer Agency, a London-based charity consultancy, that needed to create a virtual reality experience that would take the potential donors to Africa and let them experience the life of local communities. The Drummer Agency needed to create a demo that demonstrates the potential use of virtual reality in the charity business domain. The demo would realistically demonstrate the life of local African communities and accelerate the fundraising process. As VR is a relatively new technology the client wasn’t very familiar with its possibilities which depend a lot on hardware limitations. The client’s main demand was to make this demo as realistic as possible and create photo-realistic characters. This was the main thing we took into account when choosing the technology and creating assets. The first major challenge for anyone who’s working with virtual reality is hardware limitations which you need to keep in mind when creating the content. Very often the technologies you use to create it can’t offer wide functionality for all the tasks you have, so oftentimes we had to write our own solutions, scripts and methods to make it work. Another challenge we faced was to meet a very tight deadline because the client was preparing for an exhibition of the biggest charity organizations and needed to have this demo ready by then. So we delivered the project in only 1 month while the solutions like that take much more time to develop. N-iX VR department’s expertise in developing for Samsung Gear VR, Oculus Rift, HTC Vive and other headsets has made it possible to meet 2 major client’s demands, namely, make the demo as realistic as possible and deliver it in a very short time. To reach the level of realism the client desired, we used photos of real locations, and people when creating assets and characters. Although buildings and locations are not photographic, we used the photos of real locations to recreate the materials and textures peculiar to that region. We paid special attention to lighting and other effects like flying pieces of dust and sand. The team consisted of 8 people: 6 3d artists, a developer and a delivery manager. The clients were fully involved in the development process and communicated with the team on daily basis. Based on initial feedback from the users the team significantly improved user experience. In the first version of the demo, for instance, you had to take your mobile phone out of the headset to restart it, which was a bit counterintuitive, so in the next version, we added a reload possibility. The project was delivered on time and included all the features and functionality the client required. 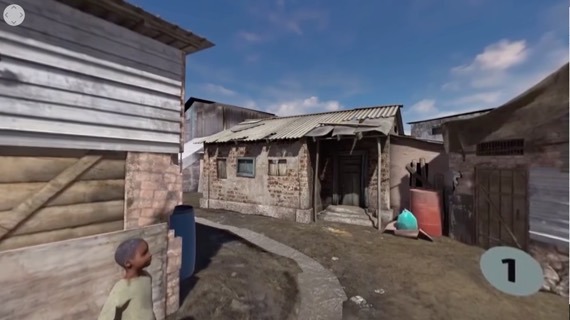 Africa VR demo features 5 interactive points, so you can watch a video, interact with the environment, change and improve it to have a look at how your donations can change it. After you contribute to the cause, people start looking different, the house and landscape improve significantly as well. Apart form 3d VR, the second version also included video VR. Africa VR resonated with the exhibition audience and attracted a lot of attention. The Drummer Agency were happy with the final result and started cooperation with N-iX on other projects.